The Mi-TIC E is the world’s smallest high resolution thermal imager for fire fighting applications. The camera provides a crystal clear image with dynamic range up to 760°C (1400°F) and at the same time see very low temperature objects, which is ideal for casualty searches. Every Mi-TIC E is supplied with a unique dual use desktop/in-truck charger station which securely retains and charges both the thermal imager and a spare battery. The charger stations can be daisy-chained together, up to a maximum of 6 units. 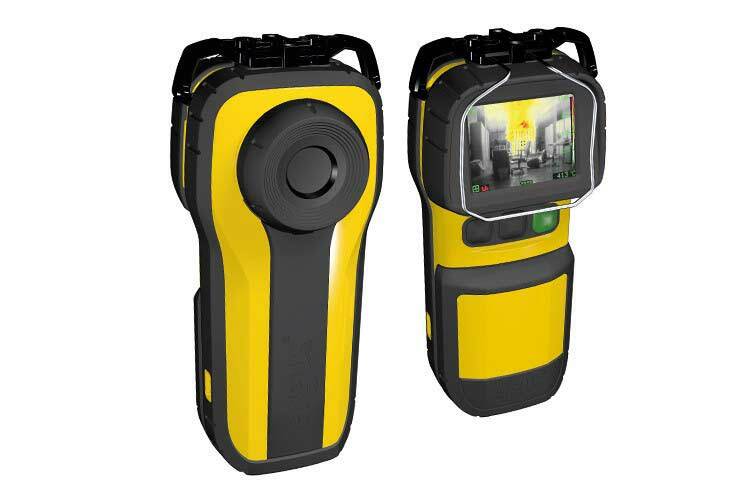 Weighing approximately 750g (26oz) the Mi-TIC E is a small format thermal imager that can be easily and comfortably held in the palm of your hand. Unlike many thermal imagers, the Mi-TIC E design allows it to be worn in multiple ways – in the hand, inside a pocket, clipped outside a pocket, clipped to a lanyard or hung around the neck. With a thumb operated green on/off button and superb start up time of 5 seconds, the Mi-TIC E is simple to use. The Mi-TIC E has Class I, Division 2 and Class II, Division 2 Non Incendive certifications. The use of Lithium Iron Phosphate technology ensures the Mi-TIC E delivers in excess of 3 hours of battery life over 2,000 plus charge cycles. They are inherently safe due to the use of patented nanophosphate® technology.